Australian oysters are NSW’s largest aquaculture industry, with more than 300 growers and $35 million in product each year. However, low yield and disease are a permanent risk - for both the native (‘Sydney Rock’ and ‘Angasi mud flat’) and the introduced ‘Pacific’ species. In 2016, production levels had declined to half their historical 1970s peak. The industry needed to boost production, with a selective breeding program for Sydney Rock Oysters as a key strategy. In order for farmers to purchase proven lines of oysters, hatcheries needed to produce high volumes (tens of millions) of seed each year. NSW hatcheries did not have this production capacity. However, a new hatchery in Albany, WA was keen to assist. The challenge then became state biosecurity protocols. Strict controls to minimise disease spread were simultaneously protecting and limiting opportunities. 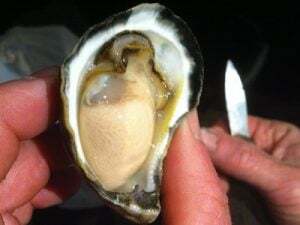 Collaboration was needed - for oyster travel visas - for Sydney Rock Oyster bloodstock to be sent to WA for production, and for the progeny seed to be able to return to NSW farmers. On behalf of the NSW Oyster Industry Strategic Implementation Group, the Select Oyster Company’s Operations Manager, Emma Wilke, approached Farming Together for assistance. “The biggest challenge was sourcing the funds to conduct the risk assessment” Emma Wilke. 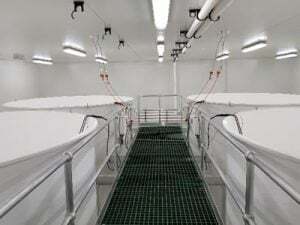 New hatchery in Albany WA. Exterior shot of new facility in Albany WA. Farming Together partnered with the Western Australian government and Aquaculture Council WA to co-fund a $30k risk assessment of the seed hatchery. 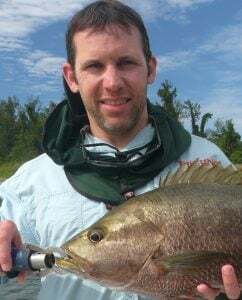 Ben Diggles, a qualified marine biologist with a PhD in aquatic animal parasitology was invited onto the Farming Together consulting panel to undertake the risk assessment. The outcome of the assessment could underpin biosecurity protocols for interstate transfer of oyster seed species. The long term value of the trade, for both states, supported the case for interstate collaboration and sector profitability. The risk assessment identified: diseases of concern, estimations for likelihood of contamination and consequences, including the possible effects of disease agents on animals, the environment, industry and the economy. 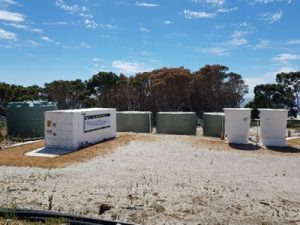 The assessment also examined pathways to minimise exposure, creating draft biosecurity protocols for the collection and testing broodstock and managing larvae at the hatchery - to reduce the risks of translocating pathogens. During their collaborative venture, the Oyster Industry Strategic Implementation Group produced a business and strategic plan including budgeting and financials and they also surveyed their members. The survey found that demand for selectively bred oyster seed was double what was currently being produced. The Select Oyster Company is now 13 years old and is pursuing inter-departmental liaison to progress the collaboration. The board, of farmers, an environmental scientist and an expert in seafood sales and marketing, have learned that “collaboration with others in the industry means we can create a thoroughbred oyster – a better, faster growing, more disease resistant oyster.” Emma Wilke. “Farming Together’s support has helped the entire NSW oyster industry. It has taken us a step closer to securing production levels that will allow the industry to grow and thrive”.